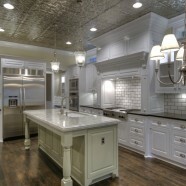 Arbogast Custom Homes is a boutique custom homebuilder committed to affordable excellence. Each home we build is as unique as the homeowners themselves. 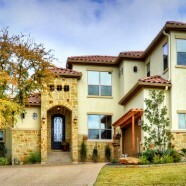 All of our homes are built with exquisite craftsmanship and a commitment to customer satisfaction. Honesty and integrity are cornerstones of our building philosophy. Brian A. Bailey Homes is the only custom builder from Austin to be awarded the most prestigious award in the homebuilding industry; America's Best Builder. The company's reputation has been earned by providing their clients with the best accounting reporting and systems that match their attention to quality and detail in their homes. Jenkins Custom Homes is a full service design-build firm twice named "Custom Builder of The Year" for the State of Texas. The firm's proprietor, Shan Jenkins, holds a BS Degree in Construction Science from the College of Architecture at Texas A&M University. It was his education that formed the foundation for the company's commitment to proven building systems and best practices. Joseph Fowler's goal is to build custom homes of exceptional quality, set realistic expectations and earn a fair profit. We are committed to customer satisfaction. We will achieve this through communication, total quality management, and continuing education. Kelly Wunsch Homes is a small, owner-operated custom home building company that is guided by the belief that owning a high-efficiency, environmentally friendly, and healthy home shouldn’t require any sacrifices. 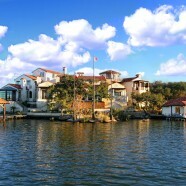 Over the past two decades I have overseen the construction of hundreds of homes in the Austin area. With a degree in Construction Management, I have the training and experience to complete your custom home with personal attention to detail and a commitment to excellence. 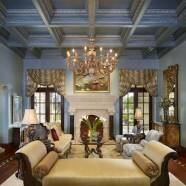 Madigan Custom Homes’ unique approach brings a dedication to excellence that goes unmatched in today’s building world. Our commitment to our customer ensures uncompromising professional craftsmanship, and the unique attention to details that defines a luxury custom home and results in complete customer satisfaction. Your Imagination. Our Expertise. Metropolitan Custom Homes works with Austin finest Architects and Designers to build homes featuring innovative design and sustainable beauty. Ray Tonjes Builder, Inc. was founded on the principles of quality, integrity, and trust, and those values remain at the company’s core today. With a collaborative approach to project management, a commitment to sustainability, and an uncommon attention to detail, the Ray Tonjes team has been “Setting the Standard . . . since 1988”. Travis Creek Homes was founded with the goal of building custom homes of unsurpassed detail, excellent craftsmanship and uncompromising value. As a 2-Time National Master Builder of the Year and 6-Time Custom Home Builder of the Year, Zbranek & Holt Custom Homes specializes in building distinctively crafted luxury custom homes designed for the way you live.